Welcome to The world of Jeunesse® Global, where scientifically proven, anti-ageing products deliver peak performance. On demand. Our products are available to you in Cape Town, South Africa & USA. Plus in another 150+ countries worldwide. Buy Jeunesse® Instantly Ageless™, Luminesce™, NV™ Foundation, Reserve™ & Zen Bodi™ online or directly via ourselves in South Africa for the best price today. Not forgetting dietary supplements M1ND™, Vidacell® and Náara from Jeunesse – Collagen you can drink! Plus New Arrival RVL Advanced Hair Care System. Plus on Import Cart from our Zambia depot to your door, Revitablu, AM & PM Essentials, Finiti and Zen Shape & Prime by Jeunesse. Please Note: As authorised Independent Jeunesse® Global Distributors, we are not permitted to advertise Wholesale or discounted pricing online. Please call for our Monthly Specials and Wholesale Packages available to you, either as a Customer or new Distributor. We are also not permitted to sell our products to you via 3rd party online sites such as Bidorbuy, Amazon or eBay. Selling only via our replicated Jeunesse® websites will ensure continued Jeunesse® compliance, support and authentic product delivery to you. Plus on Import Cart from our Zambia depot to your door Revitablu, AM & PM Essentials, Finiti and Zen Shape & Prime by Jeunesse. 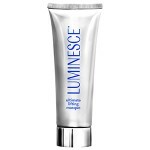 Instantly Ageless™ powerful anti-wrinkle microcream works synergistically with the Luminesce™ line of products to visibly reduce the visible signs of ageing. Instantly Ageless™ eye cream contains the miraculous peptide Argireline and along with Silicates Sodium and Magnesium Aluminum, works fast and retracts skin so that pores appear smaller and wrinkles seem lifted. Results are temporary. Lasts max 6 to 9 hours. Developed exclusively by Jeunesse®. Or Call me Now for your Monthly Special box of magic! Instantly Ageless™ 5× and 10× vial Starter Pack Specials or Instantly Ageless™ 25x sachet Box Special! Plus on Import Cart from our Zambia depot, Revitablu, AM & PM Essentials, Finiti and Zen Shape & Prime by Jeunesse. The skincare component of Y.E.S. 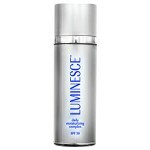 Luminesce™ (Youth Enhancement System Luminesce) super-charges the production of young, fresh skin cells. 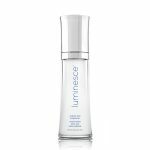 Infused with potent Replenishing Factors derived from natural adult cells – the Luminesce™ family of 7x products rejuvenates skin cells at a cellular level. Our range of Anti-ageing products are now available in South Africa in S.A. Rands and around the world in local currencies. Our flagship product and biggest seller, this silky serum has the highest number of replenishing factor properties, containing a natural wrinkle filler that preserves the elasticity and firmness of your skin. 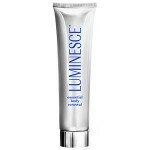 A brilliant, all day facial cream with serious skin-defending properties for daily protection (including sun protection), with patent pending Luminesce™ replenishing factors, refreshing cell functions for a more youthful look. 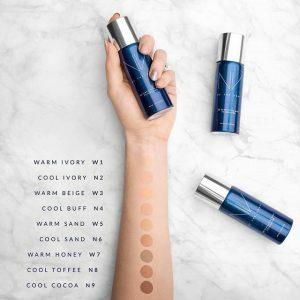 A rich cream that corrects environmental damage while you sleep, including naturally derived ingredients that support your body’s innate ability to address your DNA on a cellular level. 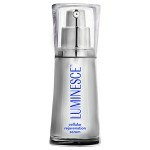 Restore your skin’s natural brilliance by detoxifying deep within the cells, the 1st step in the Luminesce™ skincare system, carefully formulated to maintain nutrients and moisture, needed to support your own special cell renewal process. 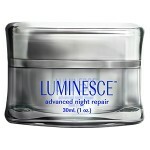 Indulge in the restorative powers of Luminesce™ all over. This essential body lotion delivers ultimate hydration and cellular attention beyond your face. It restores and softens all skin types, giving attention to the effects of environmental damage to your skin, whilst protecting it from premature ageing. Combines the natural powers of tara and chicory root to instantly liven and hydrate skin. Designed to reduce the appearance of the lines and wrinkles that we may have, this masque is bolstered by patent pending cell technology exclusive only to Jeunesse®. Attain flawless skin with this unique brightening gel. This hydrating formula includes ingredients that reduce the appearance hyper-pigmentation, refine the look of pores and brighten skin. See visible improvements with this highly effective gel. 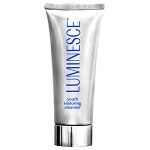 LUMINESCE™ is Now available for purchase in South Africa and in 150+ countries around the world online. NV is the latest addition to our anti-ageing product range, including the NV nine shade matching guide found below as well. 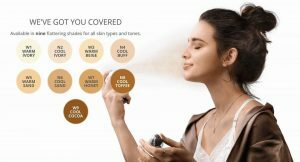 Formulated with the Jeunesse-exclusive, youth-enhancing APT-200™, NV™ includes a skin-perfecting primer, foundation and bronzer that gives you an enviable, professional airbrush finish and look. Jeunesse® NV contains the anti-ageing ingredient APT 200 and was launched in Las Vegas by Jeunesse® Global early 2017. NV is now available in South Africa and other global markets. 1 MOISTURIZE – Start with clean, moisturized skin. 2 WRAP HAIR – Secure hair away from your face using NV head wrap. Drape a towel over your shoulders if you are already dressed. 3 MIST IN SHORT BURSTS – If your skin looks wet, you are spraying too close or too long. 4 WIPE EYEBROWS & FACIAL HAIR – NV wipes easily from eyebrows and facial hair. Leave on lashes and lips to use as a lash primer, eye shadow and lip base. 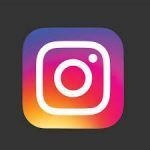 5 REMOVE – Remove with soap, water and a washcloth. Makeup remover and wipes are also effective. Reserve™ is a botanical blend of antioxidants that super-charge your internal systems – a naturally sweet supplement bursting with exotic fruit juices. It contains a host of powerful ingredients that attends to free radical damage and cell protection. 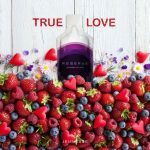 Jeunesse Reserve™ delivers high doses of the highest quality Resveratrol, a super antioxidant – in a highly bio-available gel for max absorption. This makes it up to 200 times more absorbable than encapsulated products. Resveratrol is also accompanied by a supporting cast of other powerful antioxidants. These powerful ingredients are known to repair free-radical damage, whilst supporting genes related to healthy longevity. Reserve™ enables you to enjoy the enduring effects of youth, leaving you looking and feeling great. Low in sugar and carbohydrates – only 13 calories. RESERVE™ is NOW Available to purchase online. Vidacell® is an effective Food Supplement containing a unique rice flour blend made from native strains of select brown, short and fragrant rice. 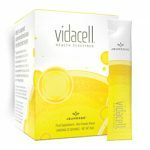 VIDACELL® is a unique, functional food that helps to fight the “cellular aging process” by providing the essential nutrients necessary to protect, repair and renew the body at a cellular level. VIDACELL® is NOW Available to purchase in South Africa and globally around the world online. ZEN Bodi™ Fit and Fuze products are a targeted holistic approach to weight management, positively effecting appetite, fat storage and muscle development. 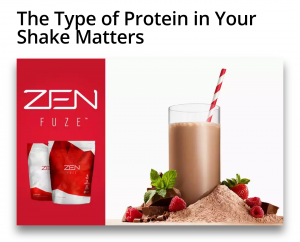 ZEN FUZE Vanilla Bliss and ZEN FUZE Chocolate Dream are protein shakes that are a fusion of exclusive TruCELLE™ and whey proteins. Another science based Jeunesse product, this winner focusing on balancing your Protein, Fats & Carbs. Balance your PFC’s and you balance your life. Fat loss and muscle gain at its very best. ZEN FIT and FUZE™ are NOW both Available to purchase in South Africa online. 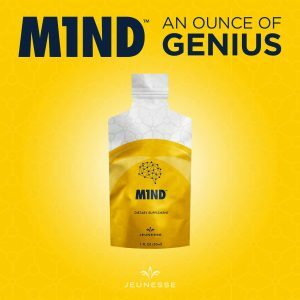 Introducing M1ND™, the latest product in the Jeunesse® Youth Enhancement System. Formulated with the exclusive ingredient CERA-Q™, M1ND is clinically shown to support overall memory and reduce mental distraction. CERA-Q™ was discovered in year 2000 by Korean researchers, uncovered by breaking down silkworm cocoons into smaller proteins. Data from 7 clinical studies shows that CERA-Q™ supports memory accuracy and recollection, with many of these studies showing statistically significant differences in memorization ability and word recall within 3 weeks. Buy Jeunesse® Instantly Ageless™, Luminesce™, NV™ Foundation, Reserve™ & Zen Bodi™ online or directly via ourselves in South Africa today. Not forgetting dietary supplement M1ND™& Vidacell® food supplement. Plus Jeunesse Náara, Collagen you can drink! Plus on Import Cart, AM & PM Essentials, Finiti and Zen Shape & Prime by Jeunesse. Product availability varies from country to country. 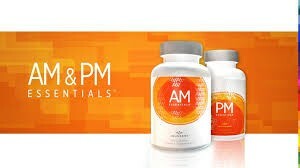 *AM & PM Essentials™ are powerful Anti-Ageing Supplements effectively delaying the symptoms of premature aging and following the Calorie restriction model – the only scientific method with clinical results proven to slow the signs of the ageing process. They are the perfect balance – AM Essentials™ provides lasting daytime energy and increases mental alertness whilst PM Essentials™ helps prepare you for a restful night’s sleep so your body can focus on cell maintenance and renewal. 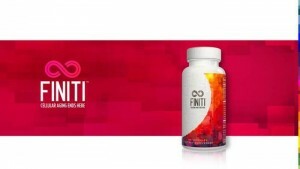 *FINITI™ EU is Jeunesse’s most advanced anti-ageing supplement to date and contains the only proprietary blend of natural ingredients known to safely lengthen short telomeres and maintain healthy stem cells. It also addresses your DNA and telomeres, protecting your cells from oxidative stress. Zen Shape & Zen Prime fat loss products are now available to Africa! 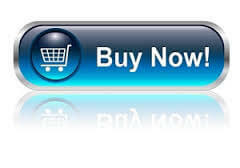 There are various purchase options available to you as a customer. One is to become a Wholesale Member for 1 years access, by Contacting me to Become a Member or going straight to our international Jeunesse® Global website, selecting Become a Member and following the easy prompts. Contact me if keen on Jeunesse as a US Dollar business as well. 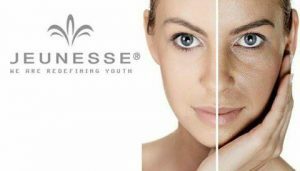 Buy Jeunesse® Instantly Ageless™, Luminesce, NV, Reserve & Zen Bodi in South Africa and 150+ countries worldwide today! Please also Contact me for a Jeunesse® Distributor near you if preferred.